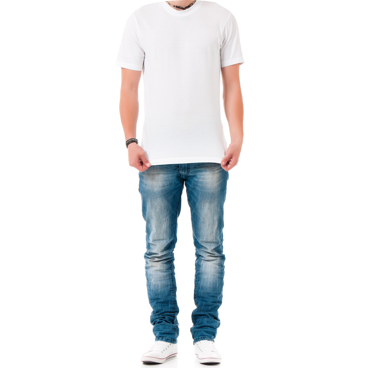 Every item is made to order to your exact measurements and preferred fit. Before we can start to make your order we need you to send us your measurements and a couple of photos. You only need to do this once and we’ll keep them safely on file to ensure that every item you order from us in the future is made just for you. Don’t worry, measuring yourself is really straight forward and we’ve created a step-by-step guide to walk you through it. 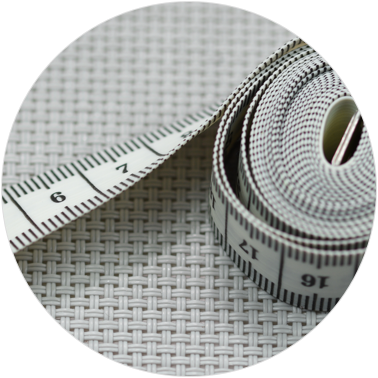 We’ll check your numbers and pass them to our factory where your cloth will be cut with laser precision. After you've ordered, we'll guide you through the measurements process. You'll need a tape measure and you might find it useful to ask someone else to help or take notes. Follow our simple step-by-step guide, and then submit your measurements after checkout. We’ll save your measurements for every order and you can amend them within your account at any time. Just to be safe we’ll double-check them too and contact you if anything seems wrong. 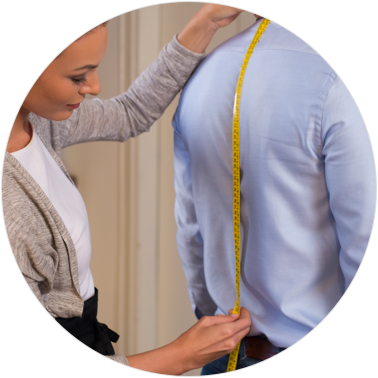 We understand that everyone’s body shape is different but with a trained eye and the assistance of some clever algorithms, our craftsmen & women can go the extra mile to get you the perfect fit. 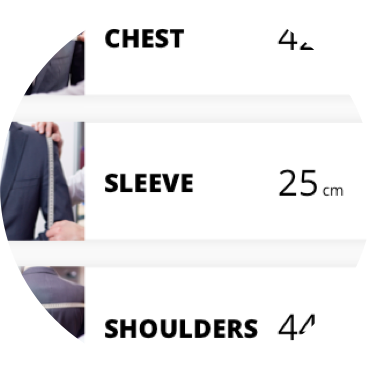 We don’t need professional snaps and don’t even need to see your face, just email or upload a couple of photos from your smartphone or camera and we’ll use these together with your measurements to make sure your order fits perfectly. 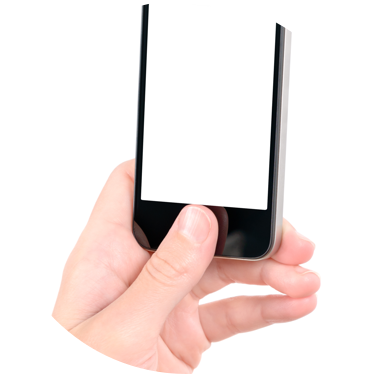 You’ll need a smartphone or digital camera and a plain wall to use as a backdrop. We just need two full-length photos of you: one from the front and one from the side. Remember to stand up straight, avoid baggy clothing and keep your hands out of your pockets. 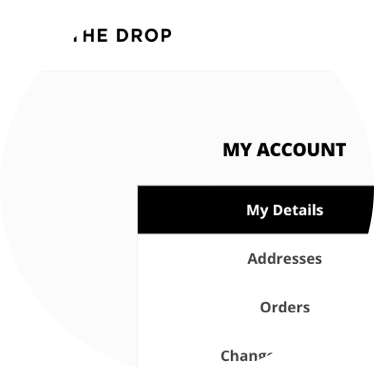 After you've taken your two photos email them across to hello@thedrop.co and we’ll add them to your account. 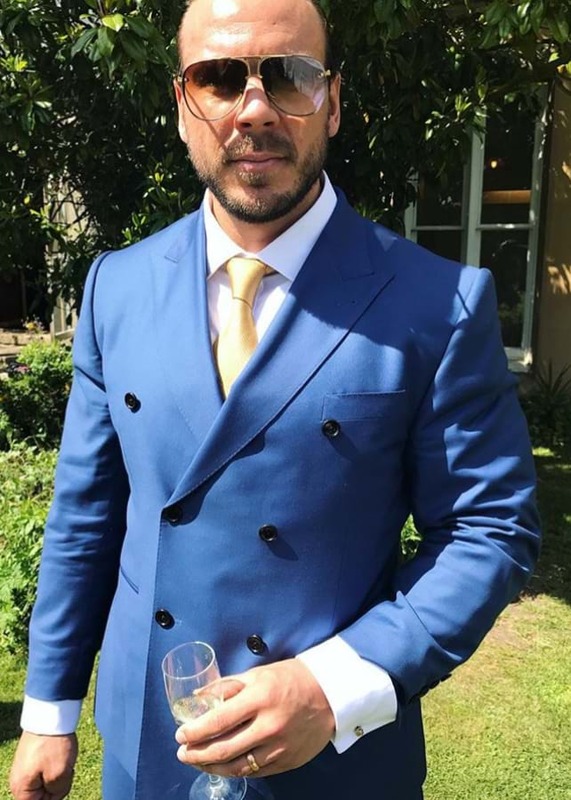 Gareth found it diﬃcult to ﬁnd an off-the-rack suit to ﬁt his broad frame - With the help of his 3 photos we got him the perfect ﬁt ﬁrst time without the need for alterations. If you have any further questions about measurements, photos or if there’s anything else we can help with please get in touch.